The tackle used and the manner of delivering a artificial lure to gamefish separates fly fishing from every other fishing method. 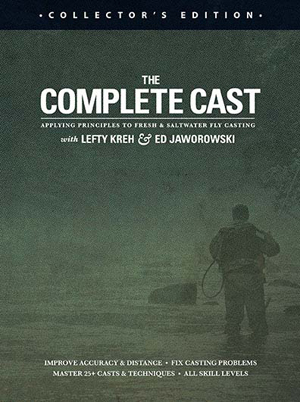 Legendary fishermen lefty Kreh and Ed Jaworowski will demonstrate, explain, and teach the elements common to all casts with a single-handed rod. Over 3 hours of instruction in this 180 min, NTSC & bluray format included.